Bright Westech Solution Pvt. Ltd. 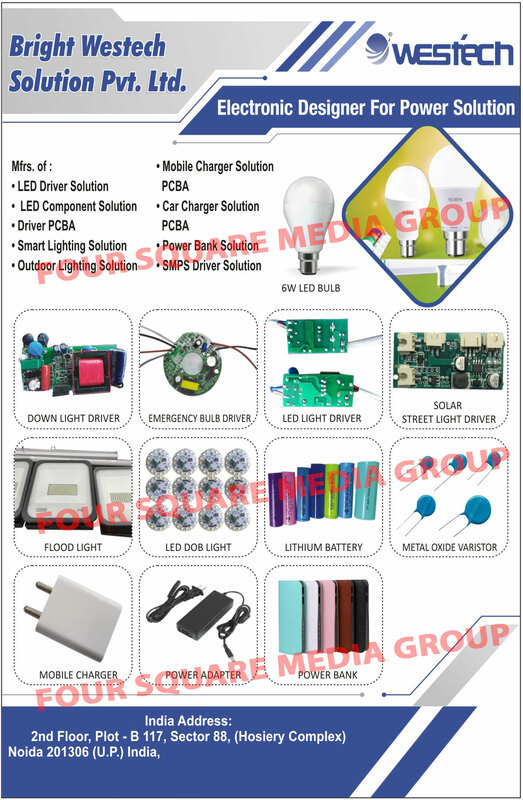 Led Drivers, Led Component Solution, Driver PCBA, Smart Lighting Solution, Outdoor Lighting Solution, Mobile Charger Solution, Car Charger Solution, Power Bank Solution, SMPS Driver Solution, Led Bulbs, Down Light Drivers, Emergency Bulb Drivers, Led Light Drivers, Solar Street Light Drivers, Flood Lights, Led DOB Lights, Lithium Batteries, Metal Oxide Varistors, Mobile Chargers, Power Adapters, Power Banks as an active Manufacturer, Supplier, Dealer, Distributor, Trader and Seller etc. (*Importer/Exporter/Service Provider).